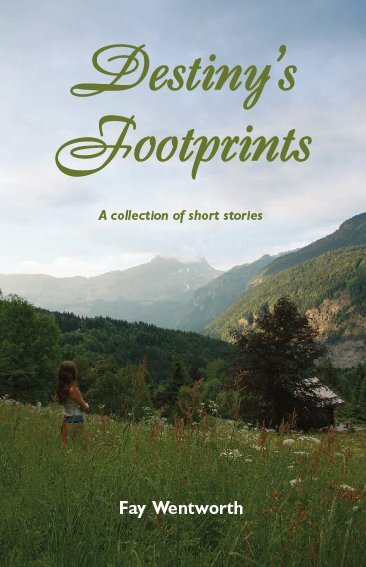 Destiny's Footprints is an eclectic compilation of thought-provoking stories that will intrigue, surprise and amuse. The characters congregate between the pages from different eras and walks of life to inspire the imagination and leave the reader wondering. The book includes 22 acclaimed stories, which have previously been published in magazines and anthologies and have won awards in a range of national competitions. Devised by well-established author Fay Wentworth, this diverse collection contains stories that will entertain and keep you guessing to the end. The book will soon be on sale at Waterstone's and other good bookshops. Alternatively, you can view sample pages of the book or buy it online now. The book is priced at £6.00 inc P&P for orders from the UK. Orders will be despatched as soon as they are received. © Copyright Butford Technical Publishing, 2009. All rights reserved.